BONGO FLEVA VIDEO HIT SONG. 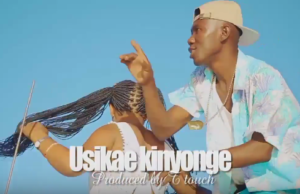 Download Video [New Song] || ROBY FT. BECKA TILTLE - USIKAE KINYONGE || Mp4. Download. ROBY A great Upraising Artist In Tanzania Music Industry Coming Up With His New Great Video Hit Song Entitled "USIKAE KINYONGE". Also You Can Check Out Our <<<HOME>>> Page For Latest Updates Download and enjoy!!
" ROBY FT. BECKA TILTLE USIKAE - KINYONGE - Video Download "